Our Company Started in 2002 in the industry of residential & commercial mold inspection and mold abatement and remediation. We are nationally certified through Certified Mold Inspector and Contractors Institute as Environmental Hygienists, Property Mold Specialists as well as Certification in Remediation. We also have the CRMI certification through the Indoor Environmental Standards Organization, the nation's leading authority on Environmental Assessment, Mold Inspection and Remediation. 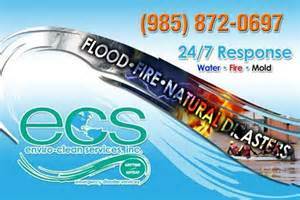 ECS, Inc is also certified by the IICRC in Water Restoration Services and House Flood Clean Up. Our company strictly adheres to the standards outlined in the teachings of the aforementioned organizations and practices strict moral, ethical and professional principles in what we do. ECS is state licensed and has the highest certifications in the areas of mold, fire and water mitigation. We are a company you can trust with the environment you live and work in. Please visit www.ecsgulfsouth.com for more info on mold, fire and water damage. 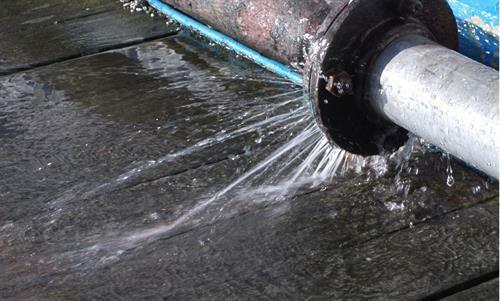 Providing cutting-edge technology in the remediation of mold, water and fire damage. Enviro-Clean Services, Inc is owned and operated in the state of Louisiana. Located on Polk Street between Hwy 311 and Tunnel Blvd.